1. 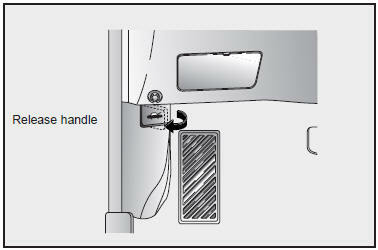 Pull the release lever on the lower left side of the instrument panel to unlatch the hood. 2. 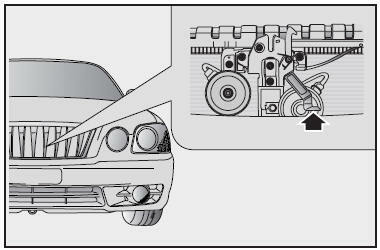 Go to the front of the vehicle, slightly raise the hood, pull up on the secondary latch and lift the hood. 3. Raise the hood. It will raise completely by itself after it has been raised halfway.